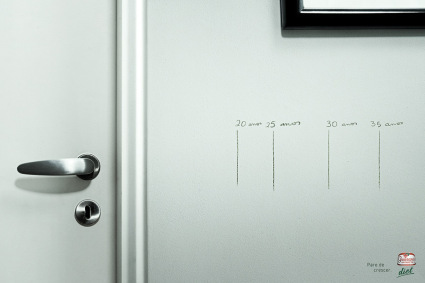 There are dozens of weight loss programs and "lose ten pounds instantly" schemes. Some of them work and some of them don't. Why do you think so many people even try these weight loss programs when the results are not the best? 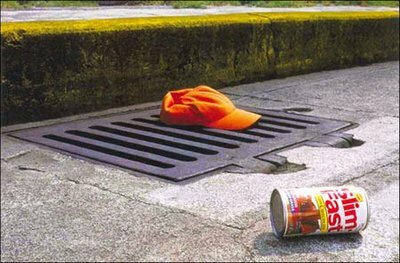 Maybe its the advertising? 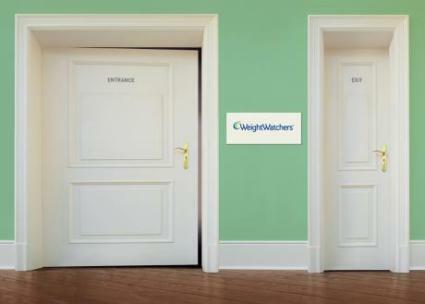 These doors are labeled entrance and exit with the Weight Watchers logo in between. 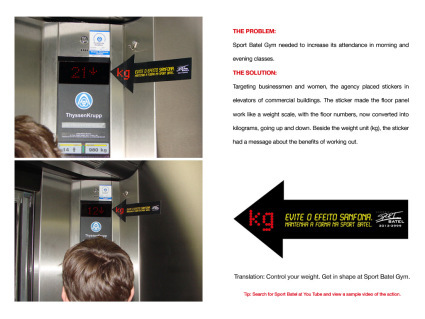 The elevator is showing how to avoid the yo-yoing of your weight (by the up and down and changing of floors in the elevator). 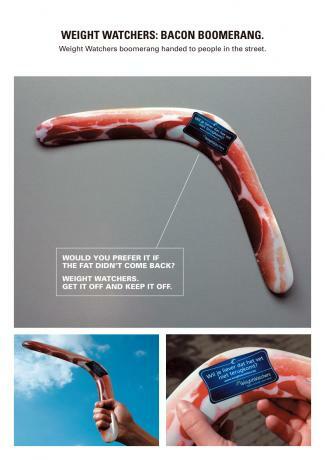 This "bacon boomerang" was handed to people as they walked down the street. Anna Nas is a weight loss company in Italy. 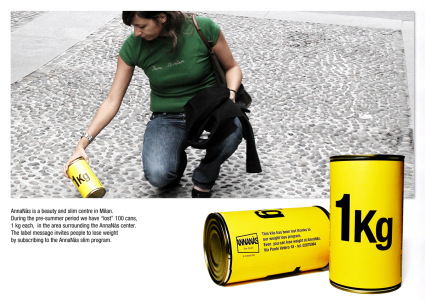 These "lost" cans were placed all over the city of Milan right before summer. 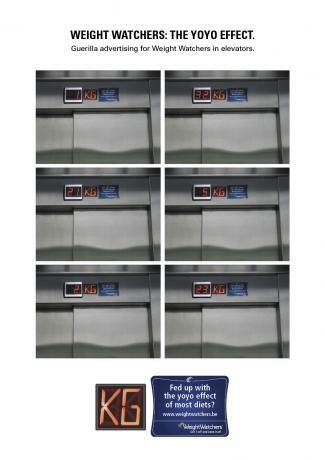 Each one represented a kilo lost. 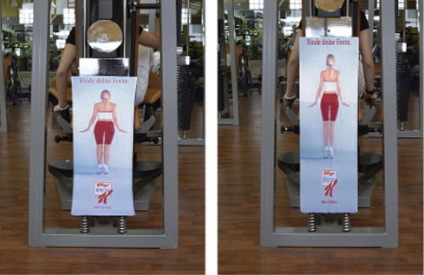 These stretch posters were attached to the back of weight machines, so the woman slimmed up as the lines to the weights were stretched. This billboard showed the snowman getting smaller and smaller, representing the days he was taking the Special K challenge. What do you think? Would they get your attention? 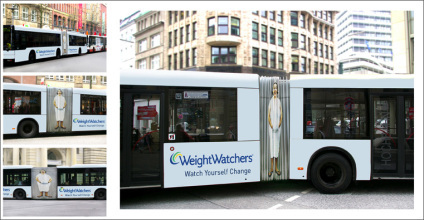 Based on these ads, would you try any of these wight loss programs? Which is your favorite?